Heart-Shaped Ice Cream Cakes for Valentines Day? Sign Us Up! We could all use a little more love ... and ice cream. Definitely more ice cream. Valentine's Day, while noble in its intentions, suffers from the same commercialism that all American holidays do. The stores are flooded with plush stuffed animals, flowers, cheap candy, cards, and more – all just to say, "I love you". And that's fine, but if you're like me, you're over the cheap candy, stuffed animals, and flowers. Call me a snob, but I'm at the age where I don't care much for those things, and the calories I ingest should be worth the flavor, so that means I'd much rather share a bottle of wine and a dessert fit for the occasion. However, I'm the furthest thing from a pastry chef or even a decent baker, so I'm restricted to purchasing confections. Luckily, we have Cold Stone. Now, there are a few ways to go about Valentine's Day. Some fortunate couples are able to do the whole jewelry thing, others go out to a fancy dinner, but if you're going to stay home or you have kids, you might want to consider picking up one of the heart-shaped cakes at Cold Stone. They're the perfect amount of Valentine's Day cheesiness without being too in your face, and unlike those chalky hearts or those liqueur-soaked chocolates, they're worth the calories – because, who doesn't like ice cream cake? If they don't, is that someone you'd really want to be with anyway (excluding those who can't consume for medical reasons, of course)? At the very least, go out for some ice cream, and tell yourself you're getting your daily dose of calcium and protein. Whatever you decide to do, you can show your partner that you 'put in the effort' to make their Valentine's Day special, but really it's to your benefit, too. If that sounds like something you'd be interested in check out either Cold Stone in Parker, Cold Stone at Cornerstar, or Cold Stone Southlands, Cold Stone at Quincy and Buckley, to get your cake on! What are your thoughts? 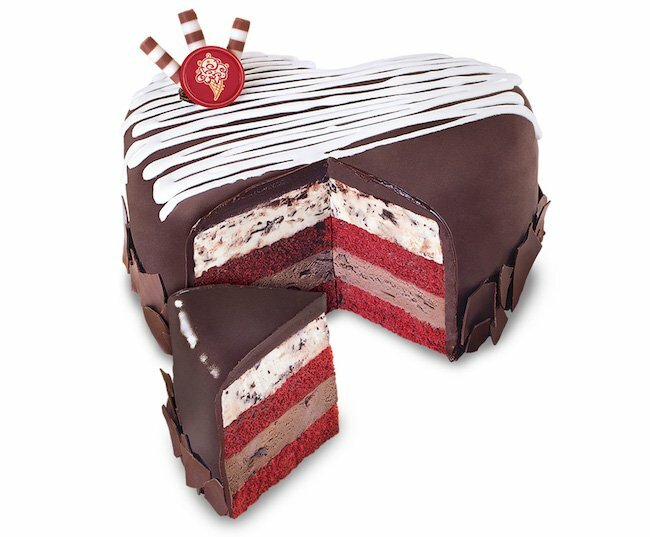 Are you a fan of the Cold Stone cakes? Why or why not? Let us know in the comments below! Curious as to how the pros photograph Colorado? We were, too!